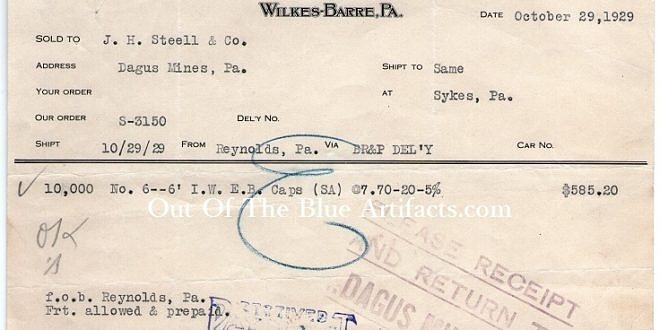 The Peerless Explosives Company – Invoice. 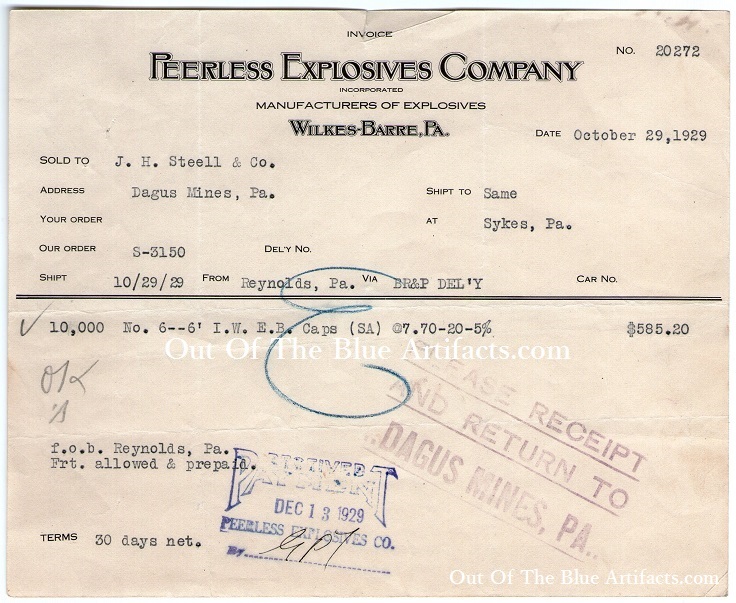 The Peerless Explosives Company, Wilkes-Barre P.A. U.S.A. a Sales Invoice for explosives.